Oh Yeah, You Blend » Blog Archive » Alice! There it is! Alice’s first AKC Championship point! I skipped Saturday because of the weather and ironically the weather on Sunday was SUPPOSED to be ok, but instead Erie got a huge snowstorm and getting home was terrifying and Jim needed to give me on-the-fly navigation instructions to get around closed stretches of I-90. But we got home safely, met Kat Klein, who is awesome, and spent some time with Ruth, Jim and Orbit! So proud of my baby girl, she showed so well! 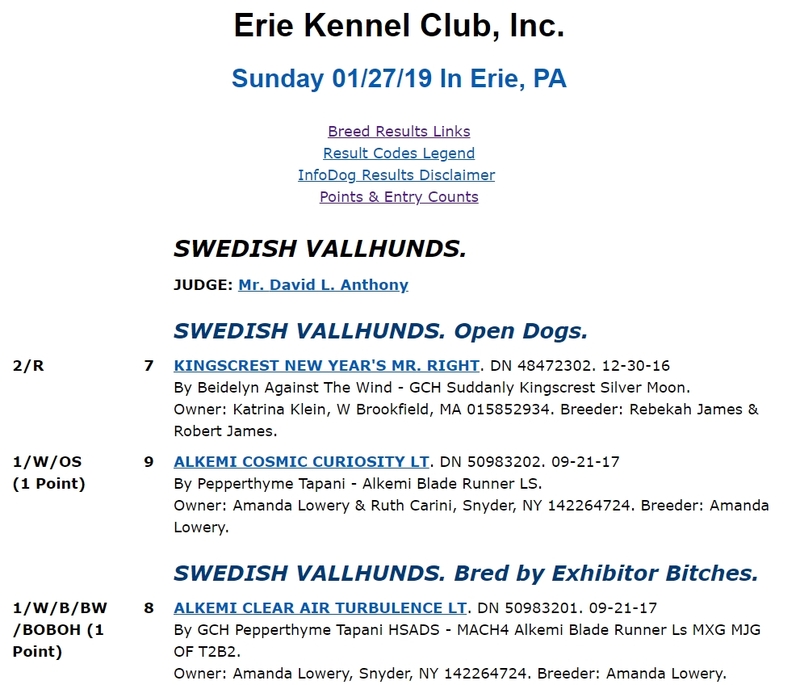 This entry was posted on Sunday, January 27th, 2019 at 8:00 PM	and is filed under Alice, awesome, breeding, C litter, dogs, vallhunds. You can follow any responses to this entry through the RSS 2.0 feed. You can leave a response, or trackback from your own site.